Gary sent in his blue Curtlo, which is almost light enough to make it into both +1lap galleries. 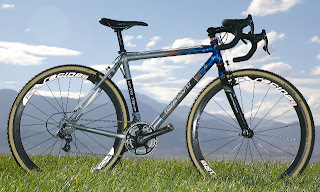 Steel frame – True Temper S3 tubing; 3.4# for the frame. 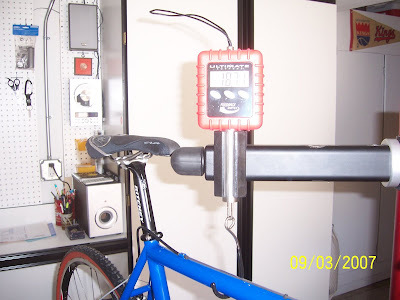 Total bike is 18.7# with the tubular wheels. 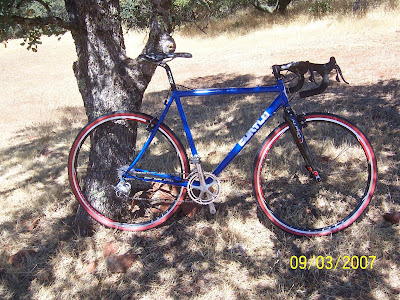 Doug built it up with curved seat stays, and it handles and rides like a dream! 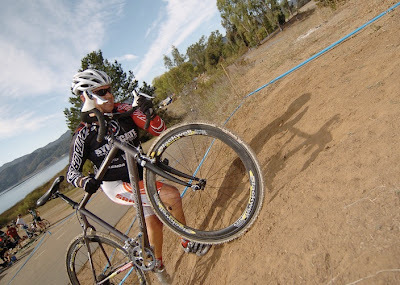 For those that believe that a ‘Cross bike has to be ultra stiff, I have proof otherwise. The flex in the rear allows the bike to hook up better in rough terrain, and I have less fatigue. The bike still sprints well, too. 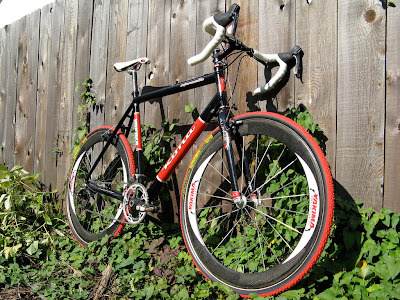 Recently, I stumbled upon a non-profit organization located here in Portland called Bikes To Rwanda (BTR). BTR strives to make bikes available to coffee farmers in Rwanda so that they can transport their raw coffee beans to the market. These are folks who make less in a year than most of us make in a day: a coffee farmer who has 5 kids and a wife barely supports his family on around $160 a year. 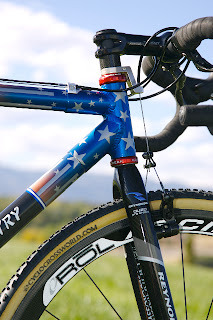 So, recently these coffee farmers were given some pretty sick coffee bikes (see above). They are the ultimate hauling rigs. What they desperately need though, is tools. 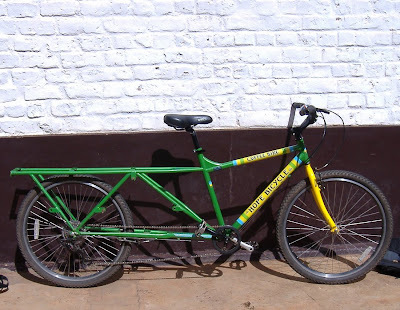 We all know bikes break, now imagine there is no local bike shop, no Performance Bike, no internet to order new tools from. All of your tools will be given directly to the BTR by myself. I found 3 allen sets sitting in my cupboard in addition to the 2 sets which are my "everyday" ones. I am also donating 2 chain breakers, some pliers and some loose allen tools. If you don't have tools sitting around to donate, run down to your local Harbor Freight and pick some up and mail them in. and any other basic tool you think someone would need to work on their bike. I'm asking all the +1lap readers to dig to the bottom of your tool box and pull out some tools that these people will cherish. I know we can pull together and amass a pretty large donation to give to the BTR. They will handle it from there to get these tools to the coffee farmers in Rwanda. 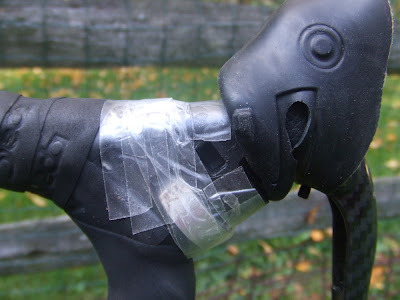 "Carbon steerer tubes: Just remove the compression plug! 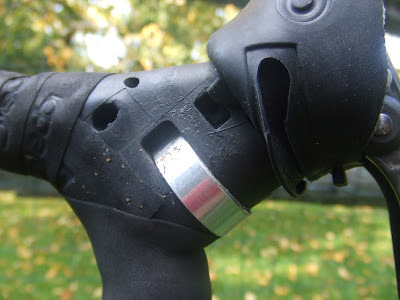 Once your stem height is set at its' final position, use the compression plug to set... headset bearing tension, then torque the stem bolts properly. You are now ready to remove the compression plug, and replace it with a light rubber or plastic plug! 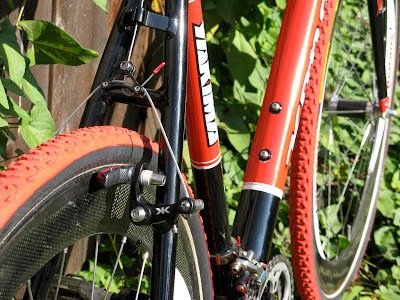 Aluminum/steel steerer tubes: Use a compression plug instead of setting a star nut. Follow instructions above. 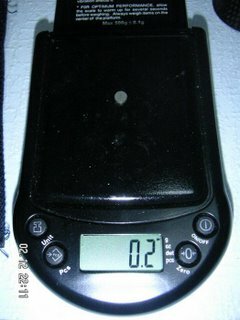 Sorry I have no pictures, but I have no camera, nor a gram scale. I have seen people replace their topcap with simple things like beer bottle caps, or you can do as I did and fabricate a carbon top cap (like the photo above). Some people will say that a stem will crush your carbon steerer tube, check with the manufacturer before you do this one. I've never had a problem with it. But your results may vary. I was able to save about 14 grams if you're using a starnut and more if you are using a compression plug. If you have a cheap weight dropping tip email it to me at plusonelap at gmail dot com. Measure your current position. Now, remove some spacers and flip your stem over so it is angled up instead of down and put your handlebar is in the original position. 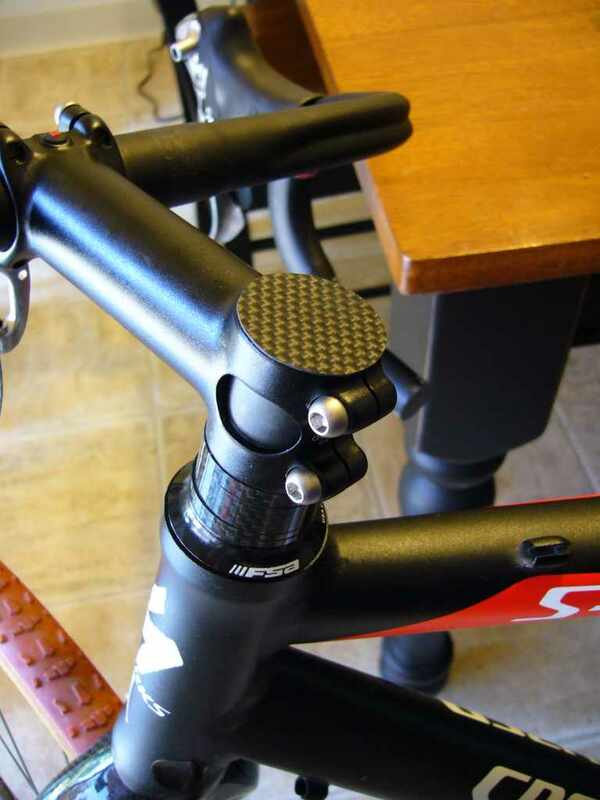 Now you are free to cut off the excess steerer and save those spacers for your next bike. On my current bike I figure I saved 10-15mm on a -6 degree 120mm stem. Weight savings can vary because of the materials. Carbon is a bit lighter than aluminum for spacers but they're close enough to say that it's .5 grams for every millimeter. I'm not quite sure the weight of steerer tube per millimeter but I imagine about the same for carbon, a bit more for aluminum." Other people sent this tip in, but none put it as perfectly as Joshua did. He especially hit it on the head with his first sentence, "Cycling is a vain sport, this tip will work if you can get over that." 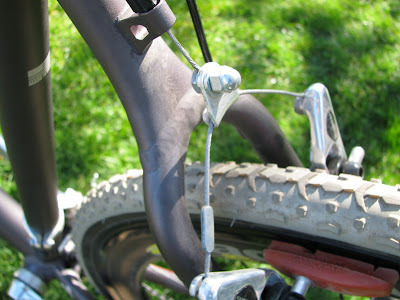 This tip will not get used by most people, because most people like the look of the stem horizontal to the ground. Cyclocross Magazine is now taking subscription orders for the first 4 issues of their mag. I already subscribed and am getting the free Tshirt that comes for early subscribers. The guys over at Cyclocross Magazine approached me a few months ago to write an article for them for the inaugural issue. So you'll see that in there too. Jim must be an avid reader of Plus One Lap, because I featured this as a weight tip back in February of last year. 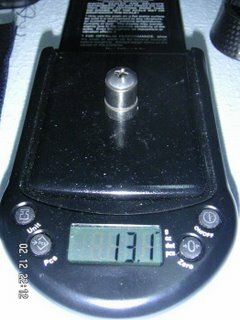 There, I figured that this would save you 12.9 grams of weight and would only cost a buck or two. You can buy these Rare Earth magnets from your local Radioshack for like $2 for two of them. 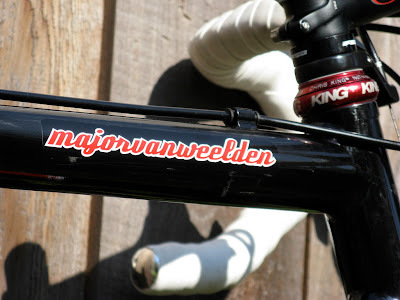 Then, you just epoxy them on your spoke where your normal magnet usually is. Something like superglue or jb weld will probably work well. If you have a weight tip email it to me at plusonelap at gmail dot com to enter the contest. 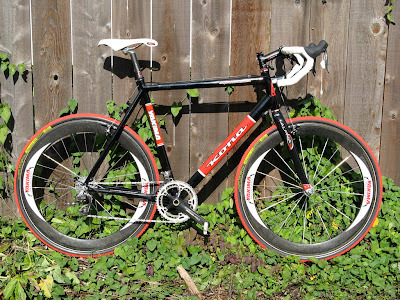 Right now using for mostly commuting until I have time to race. Come Race time, I can definitely shave some weight. 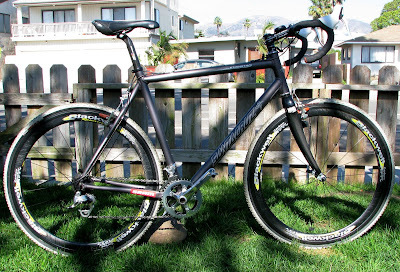 If you have a sub 18 pound cyclocross bike or a custom built one, email it to me at plusonelap at gmail dot com. 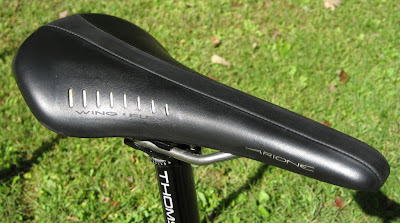 Ryan sent me in this next tip which shows how to customize your Arione saddle. 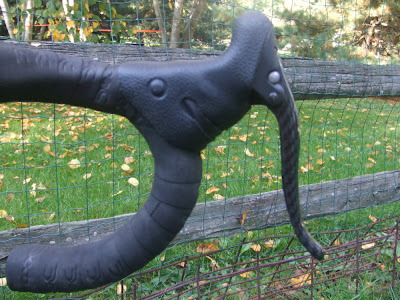 Ryan said he did it primarily so that the saddle wouldn't catch his shorts on a remount, but it has the added benefit of cutting some weight off. You simply peel back the leather cover, it comes off pretty easy as it is only glued along the edges. 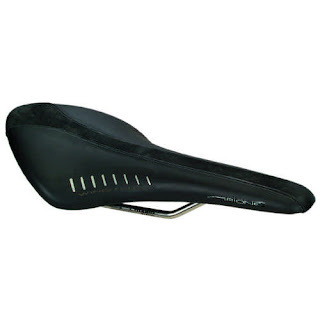 It also helps if the saddle is used and if you use a lot of chamois cream. I used a bandsaw to cut the tail off. There is a vertical extension on the shell of the saddle (I believe it had a sticker or logo on it) that I used as a cutting guide. I used several cuts to get the shape close then I used a Dremel with a sanding drum to radius the remaining shell and foam padding. Gluing the cover on is just like gluing up a tubular. I used Weldwood contact cement found at most hardware stores. Apply one layer on the plastic shell and a layer on the leather where it meets the shell. Start by stretching the leather over the back then work outwards wrapping the leather over the foam and sticking it to the plastic shell. Use something hard to press the leather onto the shell, I used a wide flat-blade screwdriver. Continue wrapping the leather over the shell, in my case I curled the leather over the vertical extension. You could always stop it short and trim off the excess leather." That looks so pro. Great work. Those dual purpose weight tips are the best. They have a functional component as well as a lighter weight component. 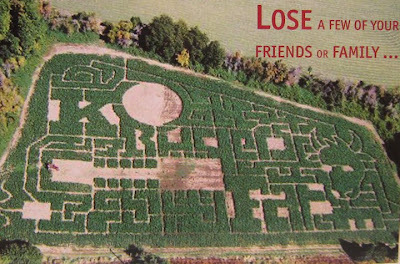 If you have a weight loss tip for cyclocross, email it to me for a chance to win a Plus One Lap T-shirt and of course the envy of all your friends. The first Fort frame to the Plus One Lap lightweight gallery is Anthony's sky blue (or is it eggshell?) bike. "JB--Here is my proud contribution the the sub 18 gallery. 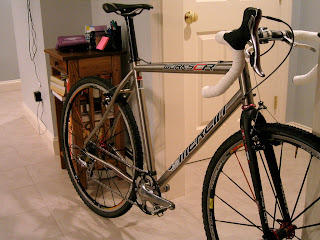 I just got around to weighing it and was stoked to come in at 18lbs with race wheels. 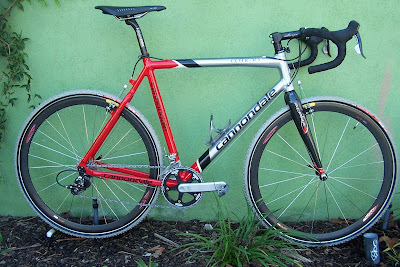 I really treid to build a solid, reliable race machine without any stupid lightness or bling. I think it turned out great, solid parts and hit the bench mark for weight! 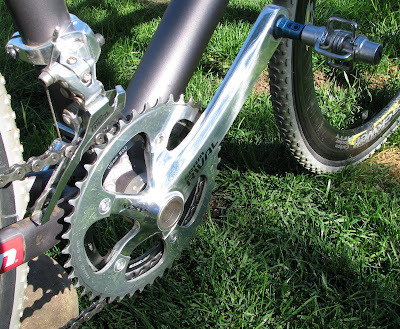 DA 7700 crank and BB with 39 (or 42) single ring, salsa gaurd, Deda Dog fang. 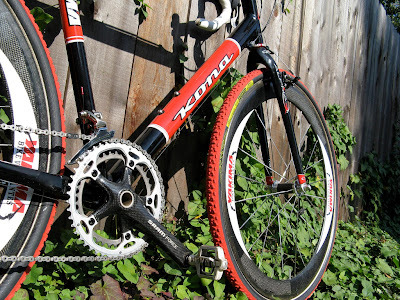 DA rear D, SRAM 9s cassette. 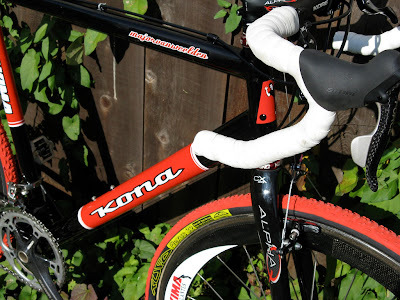 Thompson post and X2 stem, WCS alu bar. 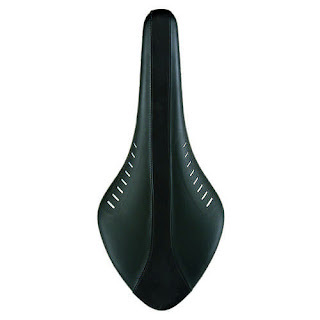 Selle San Marco Strada saddle with matching Selle San Marco bar tape. 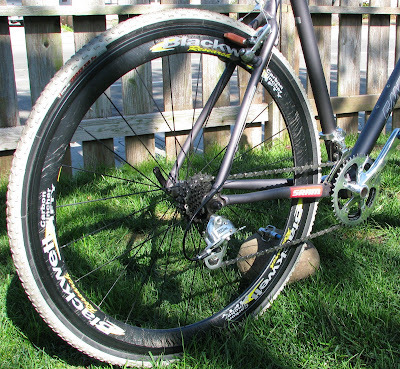 Tufo Elites on older DA hubs with Mavic 330s for fast, dry Colorado rocky days. Rhinos on same older DA Hubs with Mavic G4 (r)/Matrix ISO (f) for "good" conditions! Now if I can get fast enough to we worthy! Finally a guy that uses retro rims like me. Matrix ISO's are some pretty cool rims that are crazy light, but strong and you can find them cheap. 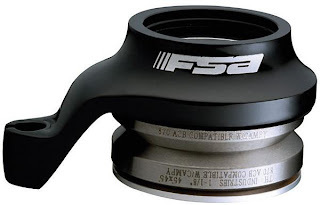 Also, someone thats actually using that integrated FSA headset pictured below. I thought it was vaporware. 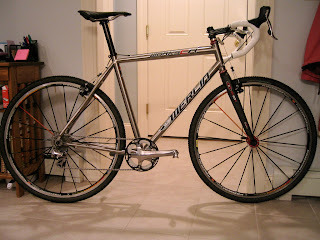 If you have a sub 18 pound cyclocross bike or a handmade cross rig, email it to me at plusonelap at gmail dot com and I will post it to the gallery for all to envy.